I am tomocarl from the sound department of AMATA K.K. This time, I went out and saw Mobile Suit Gundam: The Origin OVA VI – Rise of the Red Comet, part of a prequel to the ever-popular Gundam series. It is the final episode of the The Origin series. For a summary, you can find one on the series’ official website. I’ll just say, this episode gets going right out of the gate, beginning somewhat abruptly with the Battle of Loum. The ships are all incredibly cool, from the Musai-class cruisers to Magellan-class warships, and even the Saberfish fighters. 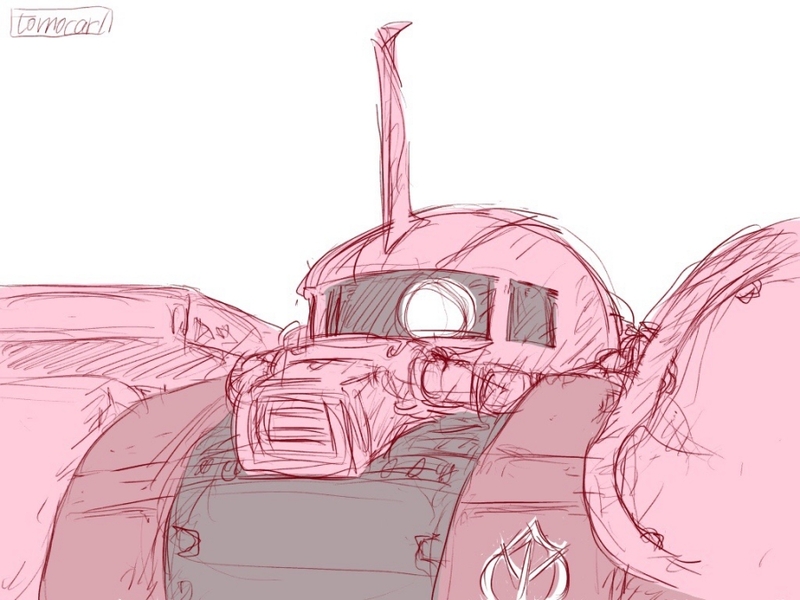 But in the end I have to say the Zaku take the prize! After all, a space war is just not complete without mobile suits! You get to see on screen just how much of an advantage a mobile suit would give to a force in battle. Truly it was a revolutionary technology. At the hands of the mobile suits piloted by Char and the Black Tri-Stars, the battle ends in a decisive victory for the Principality of Zeon. What’s more, they even capture some “POWs”. Something to watch in this episode is definitely how these POWs are used. The bargaining over these prisoners ends up worsening the conflict. A peace won through intimidation and belligerence is not just, and neither is a course of action which discards peace altogether. At this point, I should mention there is a slight ‘error’ in my opening paragraph. Actually, the original manga this OVA is based on, Mobile Suit Gundam: The Origin not only covers a prequel story, but also depicts the One Year War in its entirety as well. I think it’s safe to say you can expect great things from how it continues!